Wages in Oregon have been on the rise over the past three years. From fourth quarter 2014 to fourth quarter 2017, the quarterly average wage (smoothed and adjusted for inflation) rose by around 6.7 percent (+$800 per quarter). This is seemingly good news, right? This means that during that three-year period the average worker had more disposable income when accounting for the increased cost of goods and services. At a recent presentation where I shared this good news about rising wages I was approached by a member of the audience; let’s call her Sue. Sue said, “I don’t know who is making that sort of growth in their wages, but it isn’t me and it is not anyone I know.” When dealing with millions of workers clearly Sue’s wage growth (or lack thereof) has little effect on the average wage. However, she made an important point. The average wage is not an individual story, but a rough aggregation of all payroll divided by the number of workers. It does not tell us who is seeing higher wages, only that payroll is up relative to the number of workers. This spurred me to ask if we can identify who is driving Oregon’s wage growth. 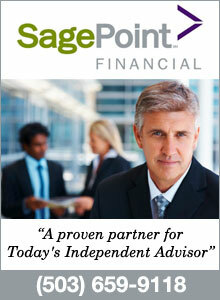 Sue pointed out an important issue with averages as they can be notoriously misleading. She told me she had worked continually with the same employer the past three years, but she had seen no substantive wage growth. How common is Sue’s story among Oregon workers? To answer this question I used wage records of Oregon workers between 2014 and 2017. These are employment and wage records by firm for all workers covered by unemployment insurance. Who Is Contributing to Oregon’s Wage Gains? The results of the analysis were quite unexpected. The expectation was that incumbent workers, like Sue, were not experiencing particularly notable wage growth. That assumption was wrong. The real median hourly wage for those who changed their employer one or more times (the job hoppers) between 2014 and 2017 rose by 13.3 percent, very rapid growth. That represented a growth in median hourly wage of $2.92. As expected the incumbent workers posted a slower pace of wage growth, however it was only marginally slower growth than the job hoppers. 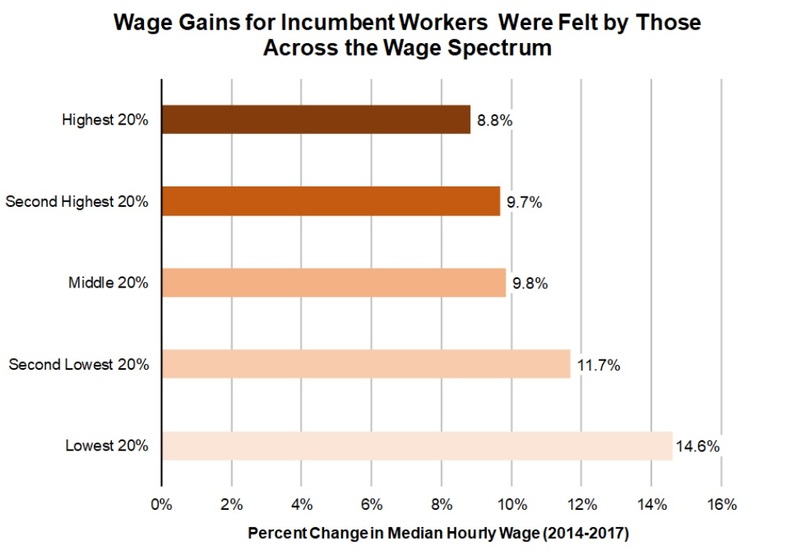 During the three-year period incumbent workers, those who stayed continually employed with the same firm, saw real median hourly pay rise by 11.7 percent with nearly an identical growth in the median hourly rate (+$2.87 an hour). Read the full article written by Damon Runberg, regional economist for Crook, Deschutes, Jefferson, Klamath, and Lake counties. The article does not answer their own question, who is driving the wage growth? The economists should be looking at various industries and high demand for skilled workers. This is very poor researched and analyzed. This is the reason that have little respect for economist, economic analysis is generally very poor based on poor research and economic models.